Be sure to add an amazing event to your family’s summer by attending the Vacation Bible School Program co-sponsored by the St. Paul’s Lutheran and UCC Churches in Stoverstown! 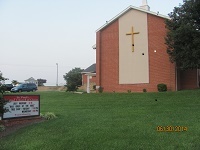 Our Bible school is available for children ages 3 through 6th grade. Adults and older students who have completed grades 7-12 are invited to join in the fun as helpers. Because we need to have certain volunteers’ clearances lined up prior to VBS week, please contact one of the directors as soon as possible if you or one of your older children would like to help. 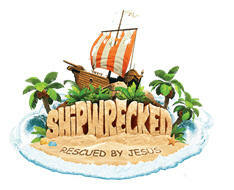 We are pleased to be able to offer free CDs of the Vacation Bible School music to families who register in advance! The music, Bible Story, games, snacks, and Imagination Station activities reinforce the daily scripture and help to bring the verses to life. Families are welcome to stay for the 20 minute opening program and arrive early to share in the closing program each evening. We will collect items and offerings each night to support programs in the Spring Grove School district. Kenney’s Closet accepts gently used clothing (no stains, holes or tears, please) and the Backpack Program for New Salem Elementary School is collecting single serving items like fruits, vegetables, cereal boxes. Both of these programs support the needs of local students and families. P.S. Please spread the word to friends and family who may be interested in attending. If you have any questions, please call the UCC church office at (717) 225-6357 or email Joy Gobrecht (joy101198@aol.com) or Cora Roush (corainnersroush@hotmail.com).